Announcements and general blog merriment on tap. Ahh, November. A chill is in the air, Christmas commercials are already playing on television, the anticipation for turkey and dressing is running high, and thousands of writers are revving up their laptops to participate in National Novel Writing Month. Carrie and I have each signed up to participate in NaNoWriMo this year, so in essence, we’ve each agreed not to have a social life for the next thirty days. This may mean blogging will continue to be sporadic for the next few weeks, but that’s not to say we won’t be posting every week. There are a few great events coming up before the end of the year that we’re excited to be participating in, and we have several things planned for later this month as True Classics approaches its two-year anniversary. First, the ladies of The Scarlet Olive are hosting a “For the Boys” blogathon. As there is an equally staggering amount of estrogen in our posts here at True Classics (not that we’re apologizing for that! ), we thought it would be interesting to throw our hat into this ring. I don’t know what topic we’ll tackle, but it will be a lot of fun regardless! 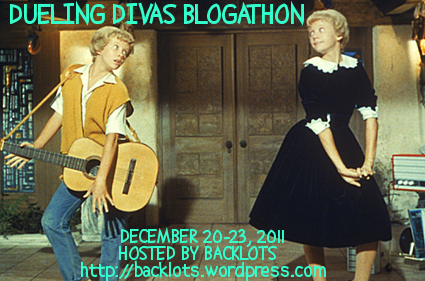 “I am hosting the Dueling Divas Blogathon, which I have scheduled to take place between December 20-23. It’s a ways off, so as to leave enough time to plan your blogging schedules accordingly. Any dual role (see what I did there? Duel? Dual? Be proud.) played by an actor or actress in a classic film, ie Hayley Mills in The Parent Trap. There are so many directions from which this topic can be approached–it’s an inspired choice for a blogathon, and we’re really looking forward to participating in this one! 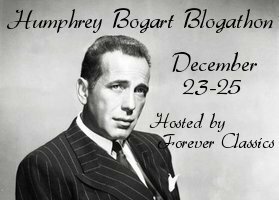 Overlapping a bit with the Dueling Divas is the Humphrey Bogart blogathon, hosted by Forever Classics’ Meredith. Our love for Bogie is pretty well established, so you know we’ll be contributing a post to this one. After all, we can’t deny ourselves the chance to lavish praise on one of the greats! 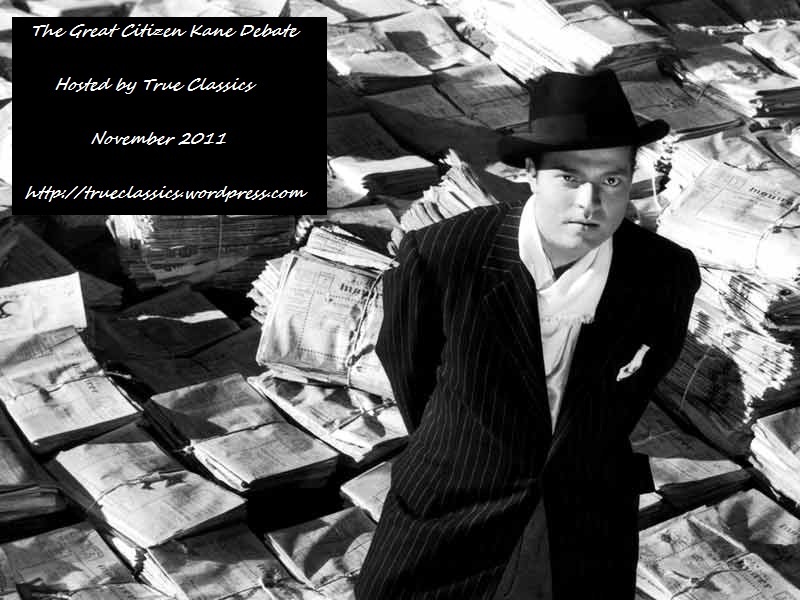 Finally, just a reminder: entries for the “Great Citizen Kane Debate” need to be posted on your blog by November 13th. Once you’ve completed your post, just post a link in the comments OR email the link to trueclassicsblog (at) gmail dot com. We will be judging the entries and announcing the winners on November 30th. I can’t wait to read everyone’s thoughts–I know it’s going to make for some interesting reading! The rest of the year is stacking up to be pretty interesting! Are there any other blogathons or classic film-related events coming up that we should know about? Tell us in the comments! ← A little bit o’ Buster in the good ol’ summertime. Ahh thanks so much for plugging the Dueling Divas Blogathon, ladies!! I’m looking forward to reading your entries! And good luck on your novels, I know they will be spectacular! Comrade! I too have joined the NaNoWriMo ranks and, unlike last year, really home to finish! Call on my whenever you and Carrie need a sense of solidarity– or just a figurative tequila shot. I’m really good at those.